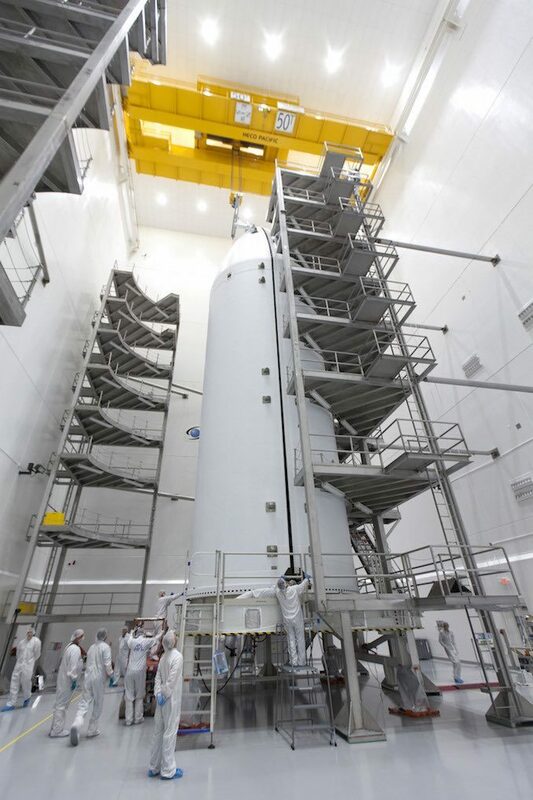 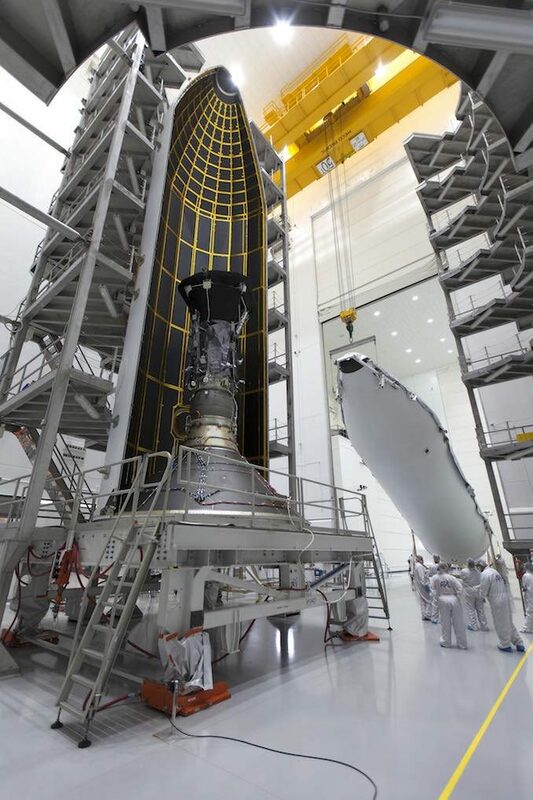 These photos show the solar-powered probe’s enclosure inside the Delta 4 fairing at the Astrotech payload processing facility in Titusville, Florida, last month. 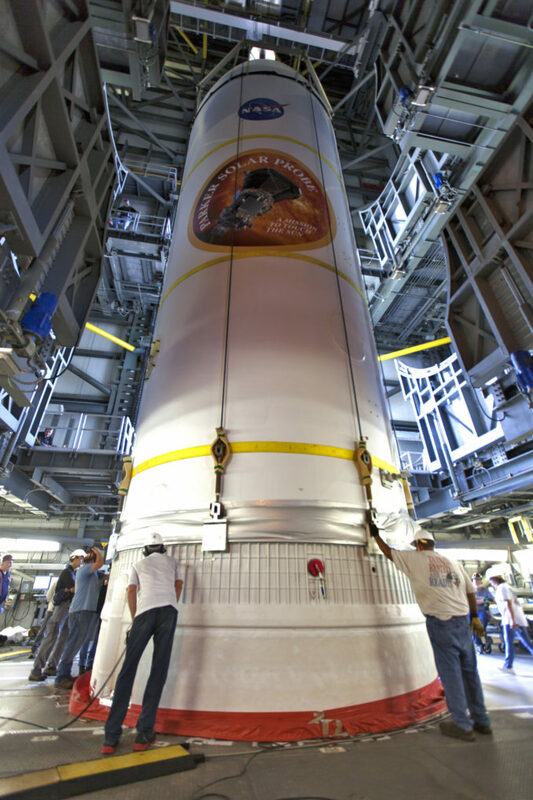 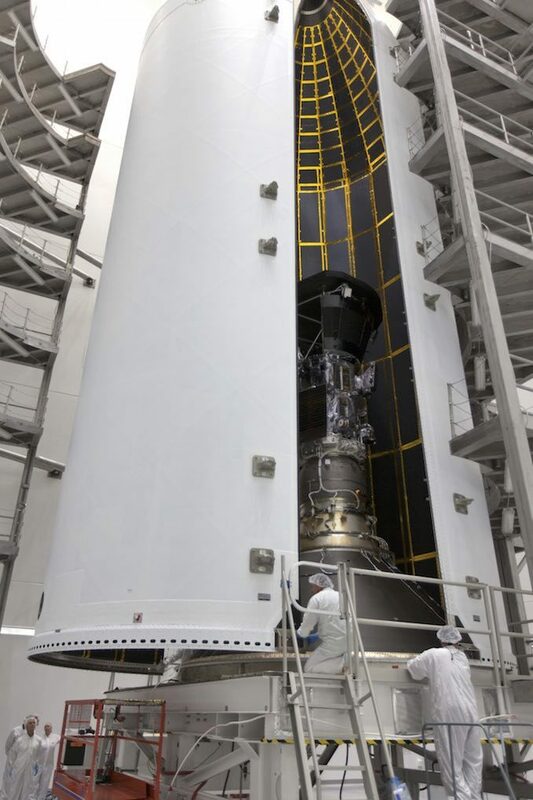 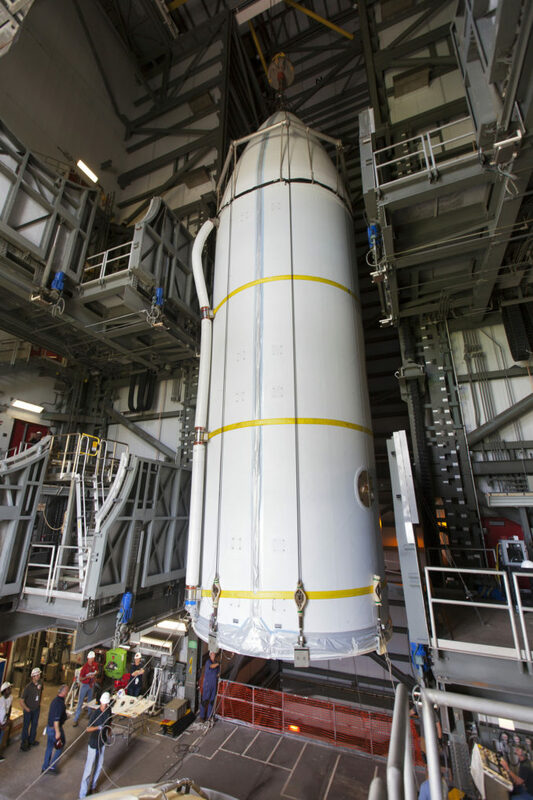 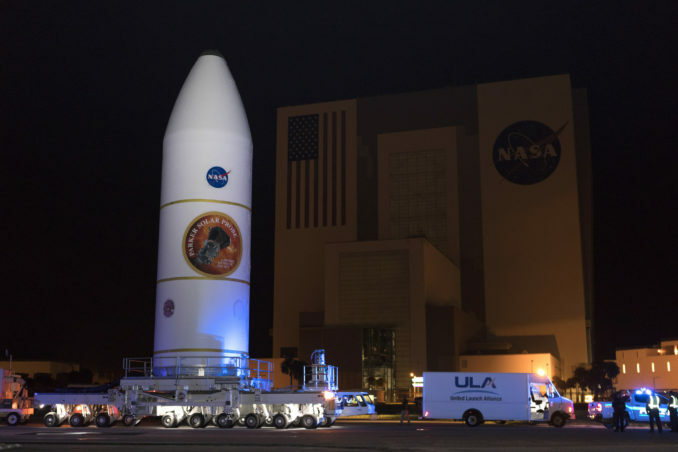 Ground crews transported the spacecraft, inside the fairing, to Cape Canaveral’s Complex 37B launch pad July 31 for hoisting atop the already-assembled United Launch Alliance Delta 4-Heavy rocket. 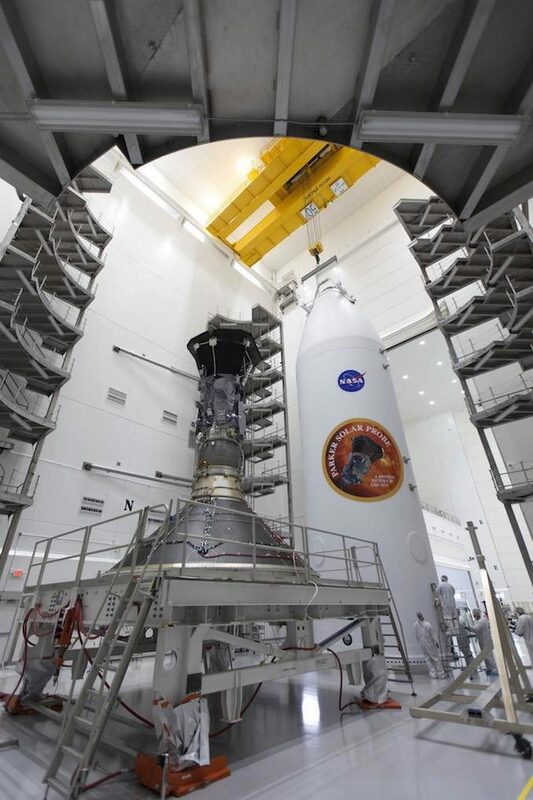 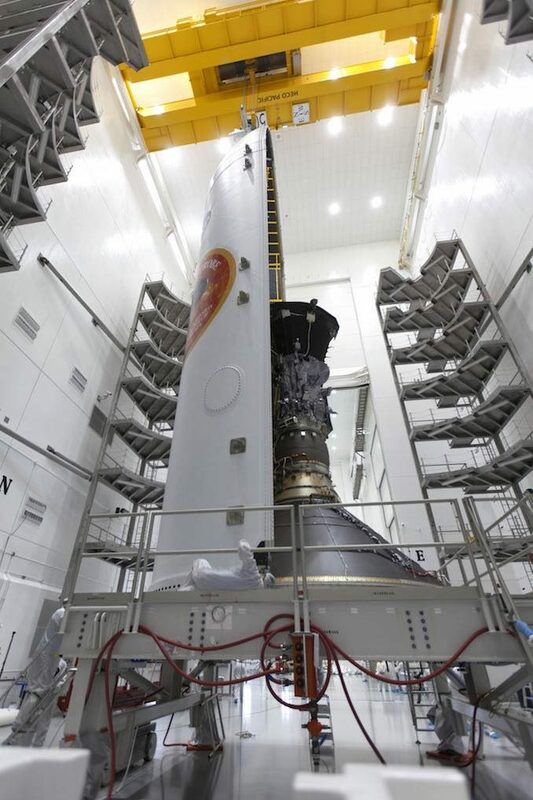 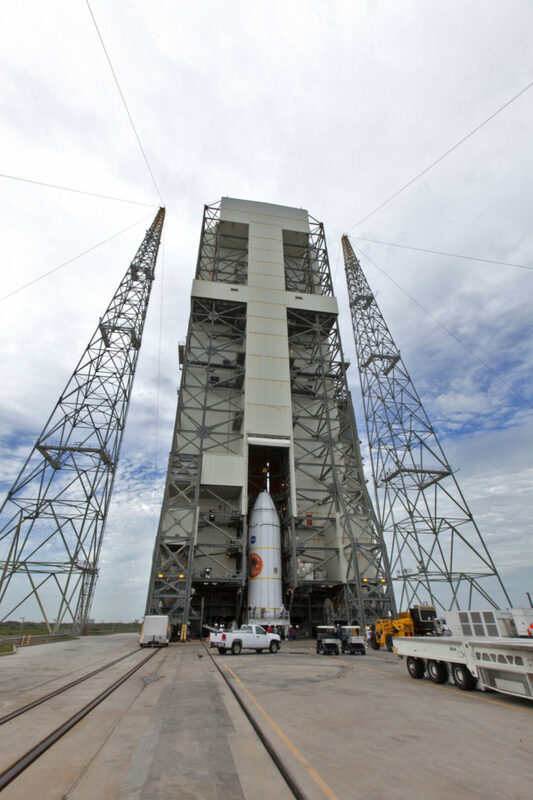 Parker Solar Probe is set for launch at 3:33 a.m. EDT (0733 GMT) Saturday, kicking off a more than seven-year voyage that will take the spacecraft closer to the sun than any previous mission. 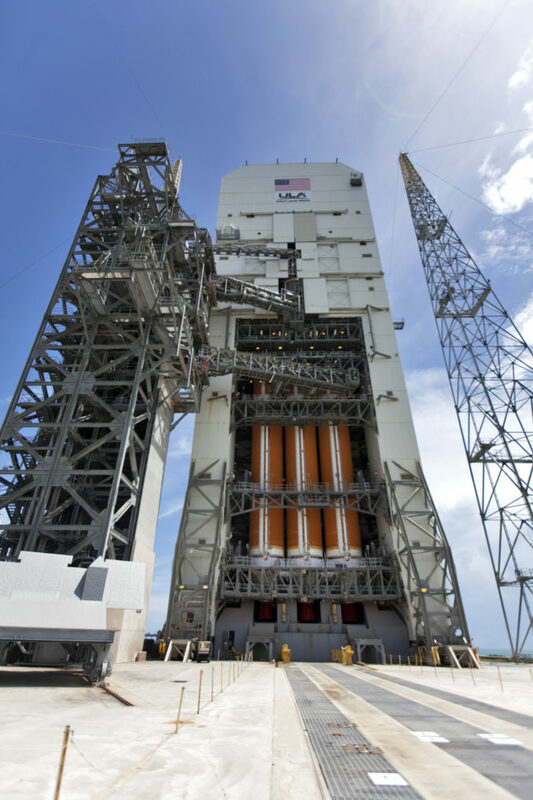 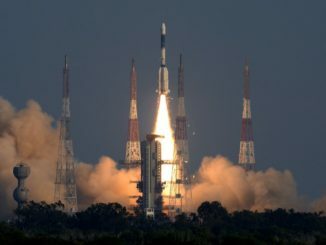 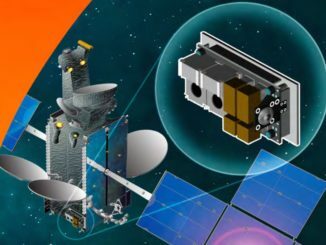 Built at the Johns Hopkins University Applied Physics Laboratory, the $1.5 billion NASA-funded mission will get an extra boost from a solid-fueled Star 48BV third stage motor, giving the spacecraft enough speed to escape Earth’s gravity. 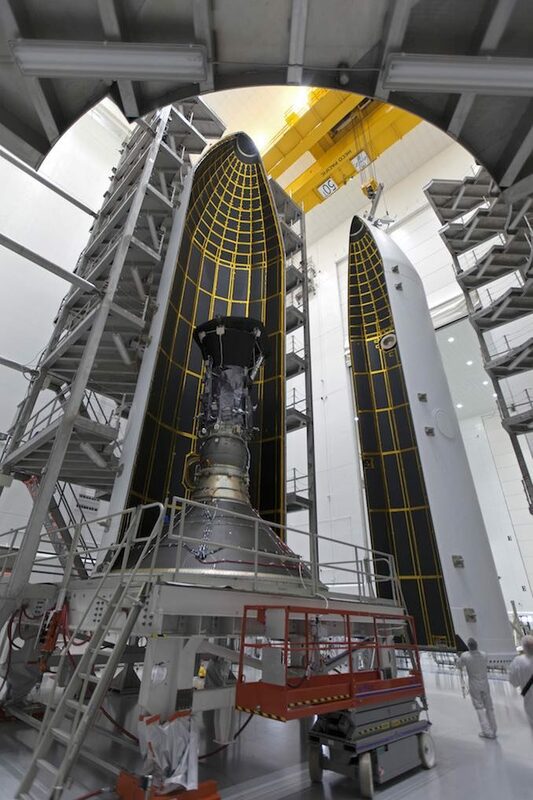 The Star 48 upper stage motor is seen in these images attached to the bottom of Parker Solar Probe, as the combined stack was surrounded by the Delta 4’s two-section payload shroud. 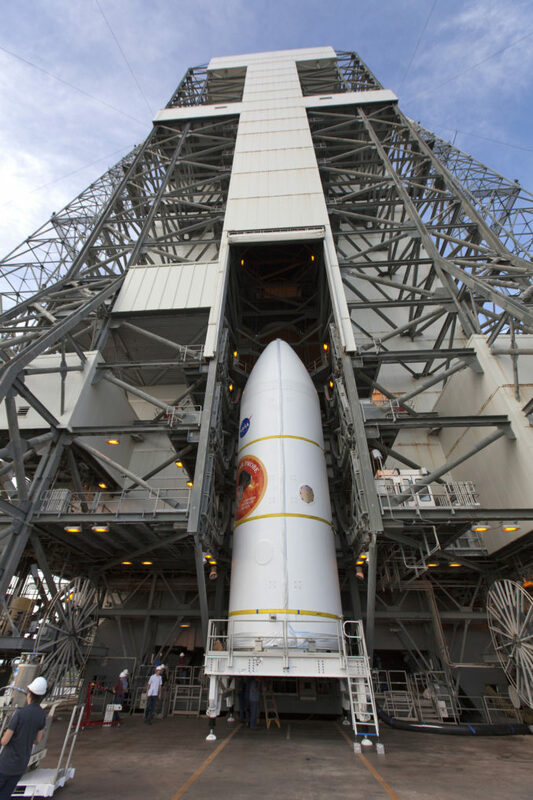 The probe will head for a flyby with Venus on Oct. 2, using the planet’s gravity to slingshot closer to the sun for its first close approach to our star in November. 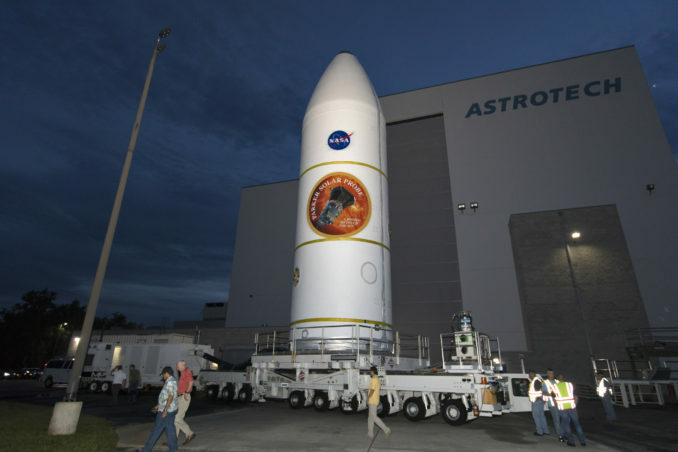 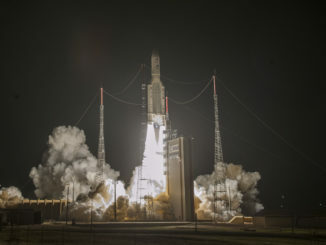 Scientists want to learn how the solar wind is generated in the sun’s corona, and Parker Solar Probe carries sensors and a camera to investigate the unexplored region, where temperatures soar to millions of degrees.